1. I love movies, and I’m excited about Phantom Thread, the latest from Paul Thomas Anderson (There Will Be Blood, The Master). This film includes the final performance from Daniel Day-Lewis—perhaps the greatest ever—who offered the quote above in this intriguing article about the movie. Not to be outdone, Anderson offers his own terrific observation about relationships in the article: “In my experience, and the experiences that I’ve seen of the people around me, there is a never-ending shift of power in a relationship: Who’s driving? 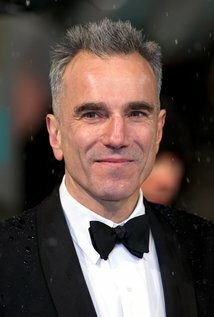 And who’s criticizing the driver?” Looks like Phantom Thread will be tantalizing cinema. 3. One of the most beautiful stories I followed this month is the love shared by Lucy Kalanithi and John Duberstein. If the name Kalanithi sounds familiar, that might be because her husband, Paul Kalanithi, wrote the bestselling memoir When Breath Becomes Air, which was published in 2016 after he died of cancer at 37. In an astonishing stroke of parallelism, John Duberstein’s wife, Nina Riggs, wrote the bestselling memoir The Bright Hour, which was published in 2017 after she died of cancer at 39. This story—especially the part about how Lucy and John met—echoes of one of my favorite essays of 2017, “You May Want to Marry My Husband,” which Amy Krouse Rosenthal published 10 days before she died. 4. I’ve spent some time this month thinking of the ravages of drug addiction, especially for relationships. This article offers a clear-eyed portrait: “He had promised Melinda that he wouldn’t, that she could trust him now. But every day he seemed to hurt more, and function less, and what was he going to do about that? How was he supposed to stop using drugs if drugs were the only thing that he knew of that would erase his pain?” This piece links drug addiction and poverty, but it’s not like wealth provides any guarantees. In this article, the costume designer Mimi O’Donnell tells of her experience as Philip Seymour Hoffman’s life partner, especially as he relapsed into the drug abuse that claimed his life in 2014. Articles like these have only exacerbated my concerns about America’s current opioid addiction crisis. 5. This last one isn’t about relationships in the typical sense that I use that word, but it’s a reminder of the power of kindness and acceptance to crush hatred and anger. In this amazing story, Sarah Silverman—the warmhearted, potty-mouthed comedian—treats a vicious Twitter troll with generosity. As you can see in the article, it makes all the difference. It’s been a blissfully quiet month here in the Lab, and I’ve spent most of my time perfecting the cocktail named after me and grazing on Evanston’s frozen cross. Could be worse. Perhaps the biggest piece of news is that Inc. listed The All-Or-Nothing Marriage as #1 on the list of books to read if you want to “live a happier and more fulfilled life in 2018.” Now that the new year is upon us, we’re delving back into our research on relationship dynamics in family businesses, romantic passion, social class and relationship well-being, and more. It’s shaping up to be a fun year.